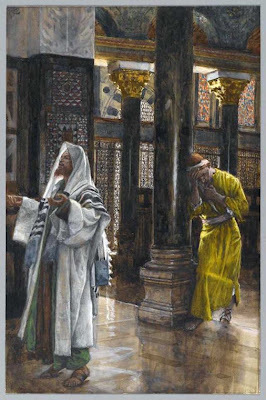 Pharisee and tax collector - Luke 18:9-14. Psalm 1:1-6 is one of this Christian emeritus pastor's favorite Psalms. It is only 6 verses long; but full of defining content. The Hebrew literary style leaves no question in the mind of the reader that there are only 2 types of individuals; the righteous and the ungodly. These two entities are contrasted with each other. Psalm 1:2 - But his delight is in the law of the LORD; and in his law doth he meditate day and night. Psalm 1:3 - And he shall be like a tree planted by the rivers of water, that bringeth forth his fruit in his season; his leaf also shall not wither; and whatsoever he doeth shall prosper. Psalm 1:4 - The ungodly are not so: but are like the chaff which the wind driveth away. Psalm 1:5 - Therefore the ungodly shall not stand in the judgment, nor sinners in the congregation of the righteous. The righteous [person] does not take advice from the ungodly (sinner). He does not involve himself in the way of the ungodly. His way of life is totally different than the unregenerate sinner whose life is marked by scorn toward not only godly religion, but the godly, themselves. The ungodly person as described in Psalm 1:1f is not only described as "ungodly," but as a "sinner." This would distinguish a person in his continued unregenerate state. The soul which has not been regenerated by God is lost to his own damning sins. He (or she) has rejected the forgiveness gained by Christ who died for the sins of the whole world. That person then, dies in damning unbelief. Hence, this Psalm describes the eternal fate of the ungodly. They will not inhabit the same space as the righteous. And, they will be driven away as the chaff is, in the wind. Matthew 25:31-46 is the account of the righteous and the ungodly. Christ, Himself calls the the righteous, "blessed of My Father," who are invited to inherit that which is prepared for them. However, the ungodly are called the "goats" who will go away into everlasting punishment prepared for the devil and his wicked angels. You cannot expect to attend church and be told of Christ's sacrifice for you and your sins, and expect then that you are "in like flint" to be one of heaven's own. That, is a false gospel of Universalism. It's a gospel devoid of Scriptural teaching balance. It's a gospel which over emphasizes the Atonement of Christ as a be all and end all; and, in the process, disses the Holy Spirit of God who initiates faith and grants to the lost soul the forgiveness of sins, brought about by Christ's holy crucifixion sacrifice [atonement] for the world's sins. In short, Universalism is a false gospel which is void of saving faith. 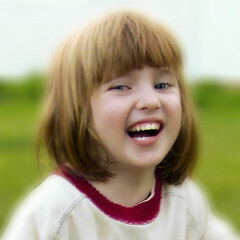 Unregenerate friend, you have a priceless soul. But, your whole being is sinful. It will not qualify you to be in the company of the righteous and to be afforded God's holy presence in heaven. Your sins are an offense to God. His holy presence will not allow sin in His holy heaven. Your soul needs to be clothed with Christ's righteousness. You need to be dressed in His garments of holiness. 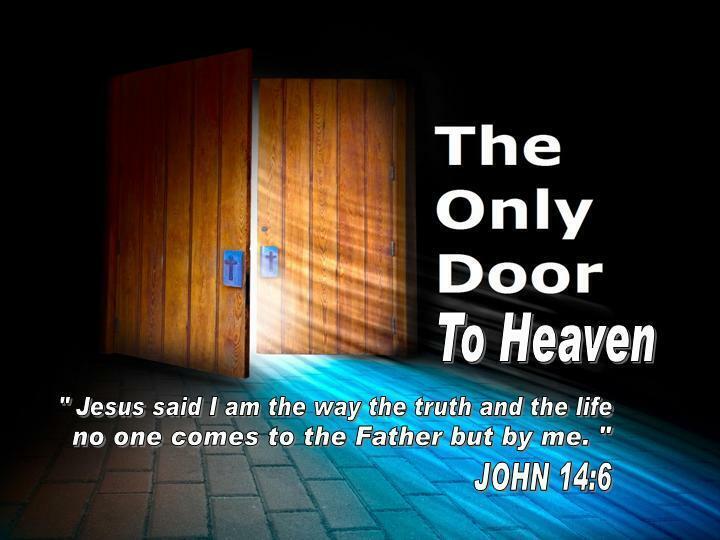 [Matthew 21:1-14 ; Philippians 3:8;9] You need the "faith of Christ" as the Apostle Paul stated in one of his epistle writings - 2 Timothy 4:7-8.
as the True Shepherd and also as the "gate"
a little child, he shall not enter therein." "Faith comes by hearing and by hearing the Word of God." - Romans 10:17. It is the same Word of God which the righteous delight in (Psalm 1:3) which is God's means to bring you to faith by His Holy Spirit. And by its fruits true faith is known, with Love and hope increasing. The "Words in Season" topical messages and related worship formatare not intended to discourage or replace the Christian worship and assembly of Christians at their particular places of church worship. As this website's author, it is my prayer and hope, that many souls will find the topical messages and related worship format and other material, a useful and valuable Christian resource.